Mercedes-Benz A-class PDF Workshop and Repair manuals, Wiring Diagrams, Parts Catalogue, Fault codes free download! Mercedes-Benz A-klasse 1997 Service Manuals – The manual for the operation and repair of the Mercedes-Benz A-class car from 1997 with gasoline and diesel engines. 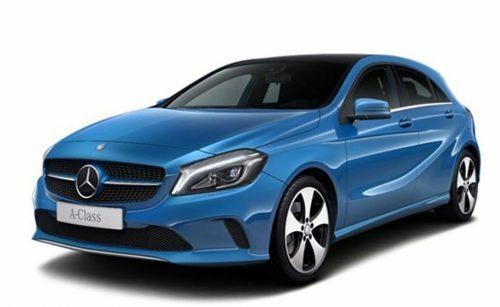 Mercedes-Benz A-klasse W168 Service Repair Manual – A manual for the operation, maintenance and repair of the Mercedes-Benz A-Class W168 series. Mercedes-Benz A-class – a series of compact (until 2012 – subcompact) cars of the German brand Mercedes-Benz. The first generation (W168) was introduced in 1997, the second generation model (W169) appeared at the end of 2004, and the third generation (W176) debuted in 2012. It is the first series of the company’s cars in its segment, where a front-wheel drive was installed. The development of the prototype was started in the early 1990s. When designing the future car, the engineers of the company took into account the experience and solutions obtained when working on the concept car Mercedes-Benz NAFA. In 1991, two prototypes were developed: one fitted with an internal combustion engine, the other an electric motor. For economic reasons, only the ICE model was released to the mass market in 1997, while the electric car went to long-term testing and refinement. Initially, the series was a five-door hatchback car, but with the arrival of the second generation appeared three-door version. In the commercial vehicle market, this class was positioned as the starting model in the Mercedes-Benz product line. With the arrival of the third generation in 2012, A-class cars grew by 68 cm in length, which made them longer than the first generation B-class models.